How has the First Lutheran faith community been putting God’s love into action this week? People’s lives are being transformed and God is at work through our community! 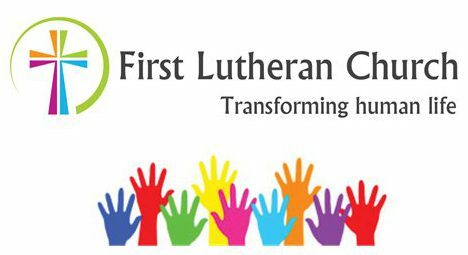 FLC members have recently packaged up 12 baby care kits and 30 mission quilts that are given to Lutheran World Relief and delivered to underdeveloped regions around the world. The baby care kits are distributed as part of emergency relief efforts, and are also given to encourage expectant women to seek prenatal care. Quilts are used to shield against the cold and rain, and for warm bedding. Their versatility also makes quilts useful as simple tents, floor coverings, or a wrap to hold a baby on a mother’s back. Thank you to Carol Meyer and Mary Jefson for coordinating FLC’s efforts, Michelle Fitzgerald for assembling the baby care kits, and to all the loving hands who helped to create the quilts. “God’s Work, Our Hands” in action! Children, youth, and adults took part in some great, creative painting this week at LOGOS as part of a project to create leaves for a large “tree of thanks” that will be at church. Each week, activities are built around themes drawn from the lectionary texts used in Sunday worship. What a great way to reinforce the Biblical story for all ages! All proceeds from this dinner will be used for food and personal essentials in the Reach Out Lodi Community Store. Each of the churches in the Lodi community is being asked to provide 4-5 desserts for the dinner. Desserts should be delivered directly to Reach Out Lodi on Saturday, October 22 before 3 pm. Bars/cookies are recommended (one pan or 2 dozen). Sign up to donate desserts in the Narthex. Here are items that the Community Store is in particular need of. Donations may be brought to Reach Out Lodi for drop-off. Food Requests: vegetable/canola oil, sugar, salt/pepper, margarine, fruit juice, canned meats (spam,chicken, beef, fish), bread/tortillas, cake mixes, jellies and jams, pastas/pasta sauces. Personal Essentials Requests: dish detergent, #13 and #30 gallon trash bags, all purpose cleaner, fabric softener dryer sheets, dental supplies (toothbrushes, tooth paste, mouth wash), blankets, wash clothes/bath towels, dish clothes/dish towels, underarm deodorant, feminine supplies. Many THANKS to all of you for supporting the Community Store and the families that need our help! Last month you provided help to 86 adults, 57 children (143 people) and 4 homeless families. Friday, Nov. 4th from 3:30 to 5:30 PM. Please join us at Reach Out Lodi for a fun event where kids will learn how to decorate their own cake. Cost is $10. If you have any questions, please contact: Lynn Lund at 608.220.0789 or lundle@charter.net. For more….Current Newsletter: October 14, 2016 online.